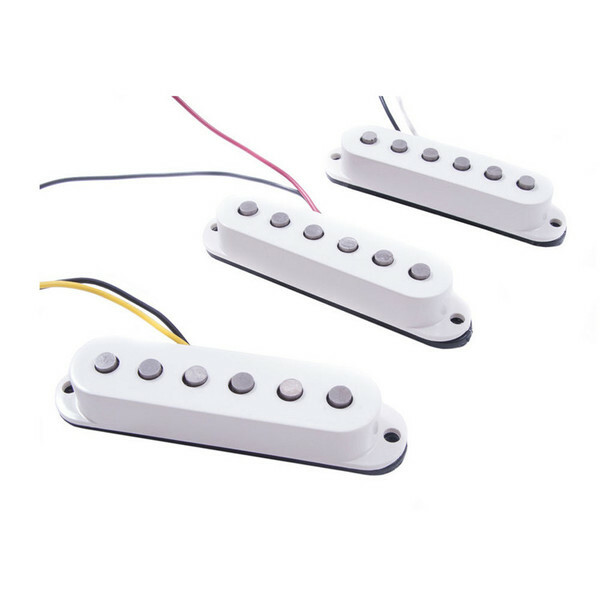 The Fender Deluxe Drive Stratocaster Pickups feature an over-wound design, making them ideal for high-gain amp settings. They are supercharged with the highest output of all the Fender single-coil pickups, and also sparkle brilliantly when clean. The pole pieces are staggered to deliver smooth, balanced tone across every string.